WebCentre now has a “Devices” page. What’s it do? When you add a device, you give it a name, specify the type, and can configure all the connection settings that you’d normally do in Helm Designer. If you then load a WebPanel that uses a device with a matching name, the connection settings from the panel are ignored, and the settings from the Device database are used instead. Any user who has the predefined role of “Device Manager” can access the device management pages. If you don’t have that role, the page isn’t accessible. The Devices database allows you to keep all your connection settings in one place, and modify them without needing to edit and re-publish several panels when a connection setting needs to be changed. 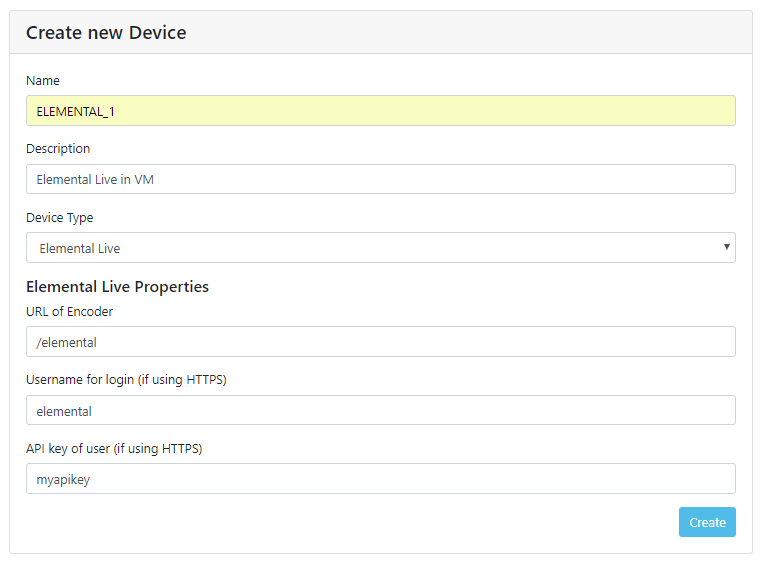 Lets say you’ve had to switch from a cloud-hosted Elemental Live system to a local one – If you’re using the Devices database, then just edit the URL and login credentials there, and all your existing Web Panels will automatically connect to the new device. You can add, edit and delete device from the Device page in WebCentre. All the dialogs are self-explanatory, but you’ll see different options depending on the type of device you have selected. Does this impact how I use Helm Designer? Not really. Just make sure that the names of the device icons in Helm Designer match the names you’ve chosen in the Device database. However, Helm Designer has one useful new feature: All the devices configured in WebCentre appear in a special area of the parts bin, allowing you to easily drag and drop them onto your panels. 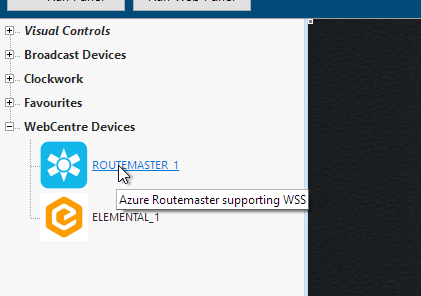 What does the “Manage” button in WebCentre do? Nothing useful. We’re working on it.